Sara Kearsley, J.D., is an attorney at McKean & Knaupp Attorneys focusing on estate planning, estate administration, guardianships and conservatorships, veterans’ benefits and Medicaid planning. She earned her law degree from the University of Oregon School of Law and her Bachelor of Science in biology from Pacific University. 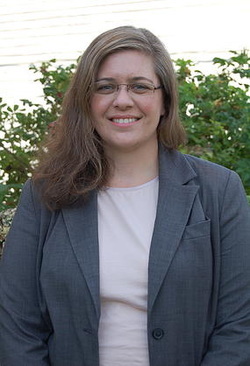 Sara is a member of the Oregon State Bar, the Elder Law and Estate Planning Sections of the OSB, and the J. Reuben Clark Law Society. She is also an accredited attorney for veterans' benefits before the Department of Veterans' Affairs. Sara is a Duck fan and enjoys attending games - any sport, but especially football and mens' and womens' lacrosse. Sara also tries to find time to read, scrapbook, and hike. She visits different National Parks with her two children every summer and creates photo books to memorialize each trip. "Sara assisted my mother in getting her legal affairs in order. She is awesome with seniors. I will keep her as a resource for my connections."